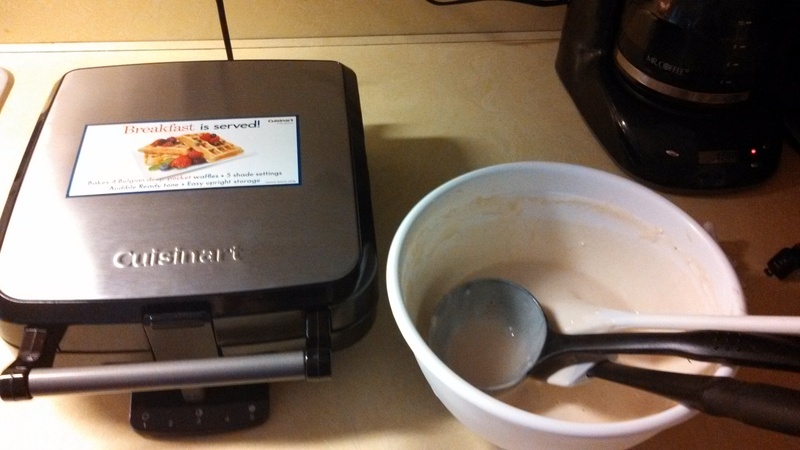 We got a Cuisinart 4-slice Belgian Waffle Maker as a wedding gift and have not used it. Well, until last weekend. I have been meaning to use it for MONTHS, but it just never happened. I have never actually made waffles before. My grandmother used to host Sunday breakfasts for my family when I was little, and she made the best buttermilk waffles. Waffles are my mom’s favourite breakfast item (and perhaps favourite food item in general). Personally, I’m not a fan of syrup or jam or anything like that, but I do love me some butter! So that is what I typically slather on waffles and pancakes. 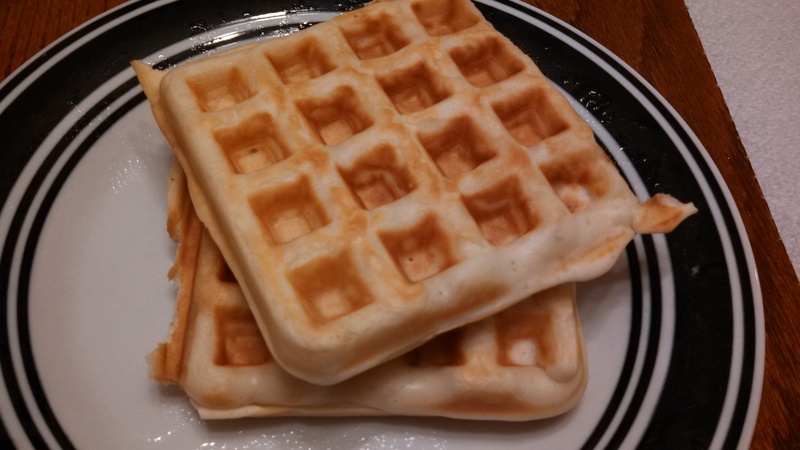 This recipe is really quite simple, and came from the Cuisinart Recipe Booklet that came with the waffle maker. They have several different fancy recipes, but I just chose the plain one, cuz I am a plain kind of girl. 😉 They were so thick and yummy, and I can’t wait for them to become a weekend staple in our household! As a final note, the original recipe calls for ingredients for 16 waffles, but obviously 2 people are NOT going to eat 16 waffles, so I halved the recipe, and we still had several left over. -Combine all ingredients, in order, in a large mixing bowl and whisk until well-blended and smooth. Let stand for about 5 minutes. 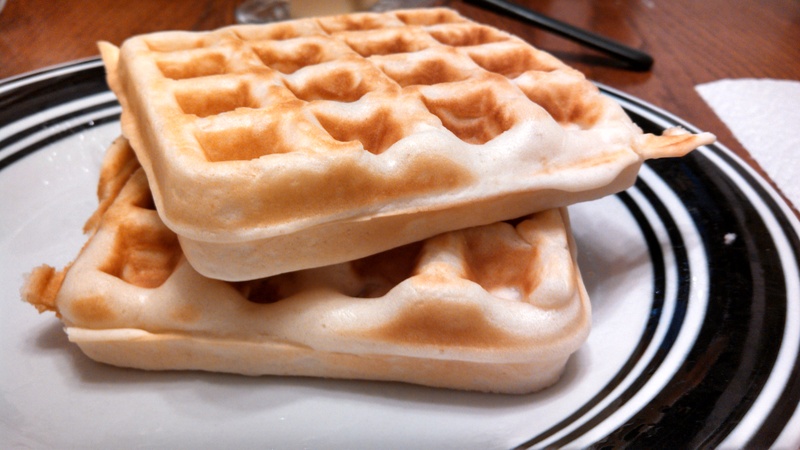 -Preheat waffle maker to desired setting (my waffle maker has settings for light, medium, and dark). -Pour batter into the center of the lower grid and spread evenly with a spatula. -Close lid and let cook. My waffle maker dings when the waffles are ready, but obviously check your own maker to see how to yield the correct results.